The Byrd is a revolutionary pod mod from the vape maestros at Space Jam that offers a consistently great vape, lightning-fast charging and a powerful, tobacco-free nic salt rush. Space Jam’s Byrd has a slim and lightweight anodized aluminum construction that’s scratch-resistant, making it perfect for a pocket or purse, and has a built-in 380mAh battery that will last roughly the same amount of time as a pod. The Byrd has lightning-quick charging, taking less than 20 minutes to recharge fully, and features pass-through technology so it can be used while charging. The Byrd’s battery also has regulated charging protection, meaning that it works with any USB cord or charger, which is incredibly useful when on the go! With The Byrd, Space Jam are inviting smokers to give cigarettes the Byrd for good, and central to this is the 60mg (6%) nicotine salt formula in their pods. The nic salt juice used in Space Jam’s Byrd pods has been blended exclusively for the Byrd, and contains nicotine salts that aren’t derived from tobacco. The 6% nicotine strength of the pods guarantees a strong but intensely satisfying rush on every inhale, while the organic cotton wicking used in the Byrd’s pods ensures rich flavor. A clear window in the side of each pod allows you to see exactly how much juice is left, and an innovative U-shaped airflow system helps reduce pod leakage. Each Byrd pod holds 0.85ml of vape juice; Space Jam have optimized the coil in each pod to make the most out of every drop. The Byrd by Space Jam is a one-of-a-kind pod system. Space Jam have been involved in the vaping scene for a long time, which has helped them understand exactly what vapers want out of a pod mod. 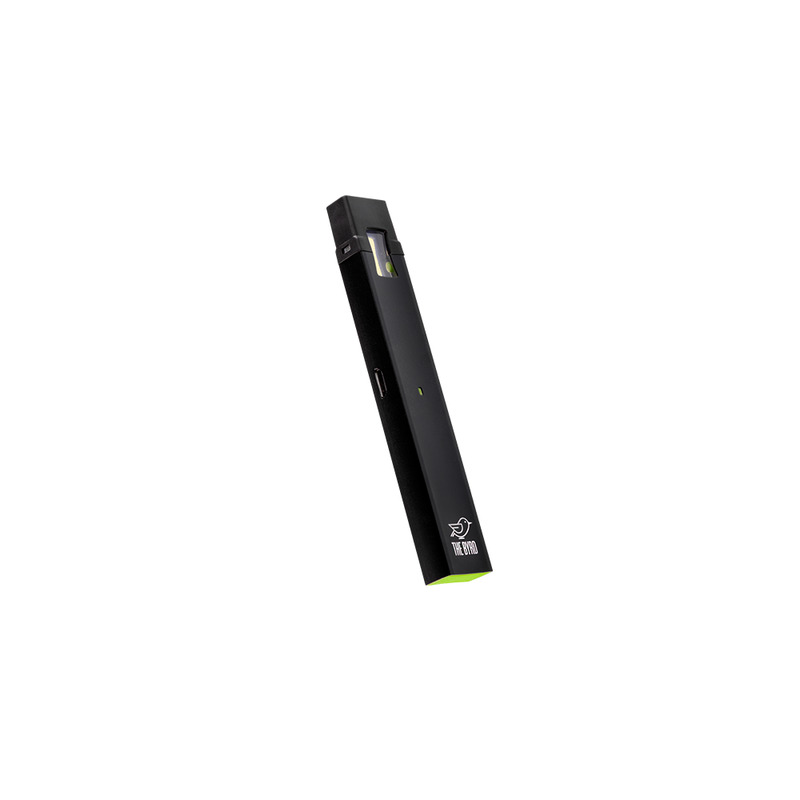 Delivering a stronger nicotine hit than most of its rivals, built to last and featuring incredibly quick and convenient charging, the Byrd is a pocket powerhouse that’s perfect for vaping on the go. THE BYRD has decent flavors and pulls, but literally all of the pods leak...some even before the package is opened. JUUL is a much better design of both the base and the pods...and I have never had a leaky JUUL pod. 14th June 2018 - ART P.
Long battery life, decent pod flavors. Unfortunately, the pods leak--both in the package and in the Byrd. One pod per package was leaking. And when you vape, unfortunately, you will get juice on your tongue. If they could fix the leaking, it would be an excellent product.